I apologize to all our supporters. I’ve been on the road since April and in June we opened the preschool in Las Minitas, Nicaragua after a lot of hard work and raising more then $5,000. I’ve had trouble logging in and also spartan access to Internet at times on this world journey and have not updated this as I wish. We are going strong on Facebook and my blog .. This will be updated regularly now. So please visit. Often. Our first good news: English class in Las Minitas is so successful and thought to be worthwhile to the farmers’ families, Enlace Project is hiring the teacher as part of their program and so his weekly pay will be part of his duties. We supported that class for more than a year! Javier walked and rode a horse three hours each Sunday to teach, then stayed with a family. I am proud to announce that “585 Magazine” out of Rochester included a first-person essay about building the experience of building the preschool in Nicaragua in their current issue, out now. Online soon,but here’s a snapshot of the page! Coda is the concluding passage of a movement, like in a musical piece, and it’s their closing essay. This magazine is fresh and great. So glad! PHOTO SHOW JULY 23 IN ROCHESTER/HONEOYE FALLS! 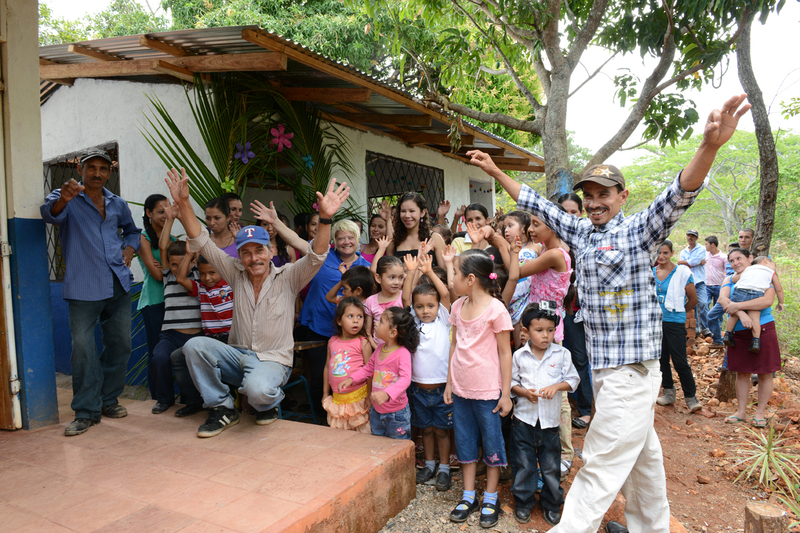 I’m fresh back from Nicaragua, where the farmers and their families are enjoying the preschool that we helped them open! I’m in town for a week before going to volunteer in Africa, so let’s celebrate the power of everyday people to make a difference and have a look at what’s been happening in Las Minitas. I am hosting a pop-up gallery exhibition of images of the construction of The Friends Project preschool, the opening party that drew 60 people from the settlement, and photos of the community we partnered with on top of the mountain. I will have coffee (20 bags) freshly toasted by the farmers in Las Minitas for sale, to help fund the English class we host in Las Minitas. I’ll give a talk with photos at 7 PM … a pinata broken Nicaraguan-house party style will follow, with good conversation and celebration. Light refreshments. Bring a chair if you’ve got one. This is popup! Tell you friends. Spread the word! Why: We can make a difference. And did. see how! People of our World: Insight from the road. Went to the 35th anniversary show of the ballet folklorico in Arequipa, a nice showcase of traditional dance that depicted history and relationships with Mexico and various regions across Peru. Two days going to concerts/performances in Arequipa at the muncipal theater, I have learned something: the start time means you can filter in and it will start anytime a half hour later or more. After the show, I wandered Mercedes street – a pedestrian-only street with clothing shops, a Starbucks and chains and a casino, as well as someone who has my number with a ton of cake and ice-cream shops, and people selling little plastic inflatable frogs on sticks and other animals. I like how walking around at night is an event in Latin and South America. Families and couples and friends stroll the Plaza de Armas, or Mercedes and because it’s an outing, there’s guys selling inflatable frogs on sticks – and people buy them. Like a fair. Stores started closing around 9:30 and I saw a group of people huddled around a corner. A guy was doing the NYC trick of spray painting an incredibly vibrant (and day-glo, faces in a champagne glass cheese) piece of art in a hot minute … playing the most rocking song Michael Jackson ever did. While I was watching, a police guard came up to remind him he was only supposed to do street vending after 10. They had some words; what sticks out to me is that the guard was in a wheelchair. I’ve seen several civil guards and police in wheelchairs in Arequipa. I dig that. I have never seen that in another city – right on Peru. I wandered more and there were young guys selling alumnimum bent into spiders and dinos and other creatures; Andean alpaca cheapie gloves, all kinds of stuff. In the plaza de armas, I sat down with a giant piece of Salva Negra cake and got my sugar/chocolate fix with chocolate and whipped cream and fresh strawberries, watching three teenagers break out some old-school breakdance moves, sans tunes, by the fountain. I am getting good at predicting what hanger-outers will do; I saw the kid’s sleeveless vest and said, this guy will break! Voila. I parked myself there and enjoyed the night LIFE: the break dancers teaching each other moves. I looked at who was around me at that instant. A couple on a date, the guy nuzzling behind her as she walked delicately in her heels. The guy smoking a cigarette after getting off his $1,000 racing bicycle. The woman selling candy and cigarettes too close to people, desperate to make a sale. Yesterday after work, the Plaza was filled with families and kids feeding the pigeons and running between their flying wings smiling. We are missing that in the states: a central area for people to just GO and BE. People just show up and that’s the night. Looking at something beautiful and prideful for the city. In this case, the cathedral and the Spanish colonial buildings surrounding the square and the fountain. The center of the city for hundreds of years. Guys in safari vests and cheap cameras take photos of families for some pesos and print them out instantly; keepsakes for this unique moment of an activity that probably plays out every week or several times a month. I’m on an austerity budget here at Arequipa, working on my writing in the day and finding free things to do at night. I never tire of winding up in the plaza and watching life… it’s so different on the outside in foreign places, and yet the same for all of us, everywhere we go. I wish we woud not have created a culture in the states in which we seal ourselves off and need to go “do” something: What town or city would not be suited to a square, where strolls and sitting on a bench watching the world go by, and living in it – breakdancing maybe – are everyday? See you tomorrow Plaza de Armas. What will you bring me? 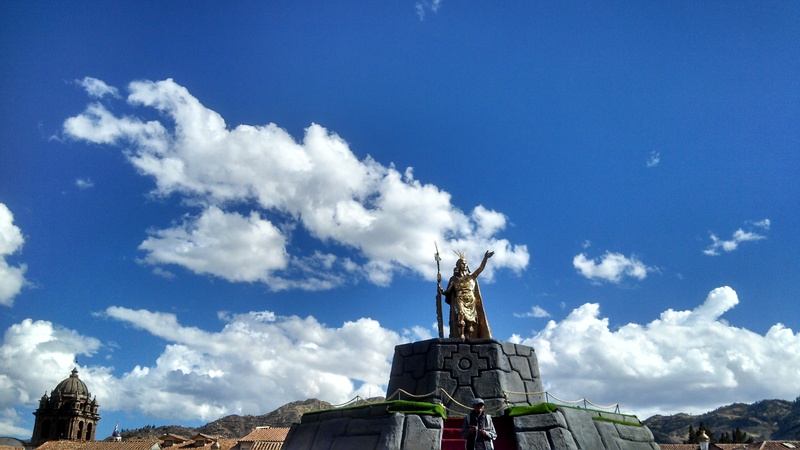 I am exploring the Andes of Peru with two friends who helped form Enlace Project, the grassroots organization that has been the vein for the Friends Project in El SAuce … they did all the organization of the school building. Today, we were walking down the street of Arequipa, where we will visit Colca Canyon to see the giant condors. We passed the Plaza de Armas and I thought how fitting a new evolution is: While I was in Las Minitas both Alcides and Paiyo, who helped with the school construction daily, asked for a U.S. flag to put up in the preschool. I never intended that; it’s more than borders. But they asked and I thought about it and of course it’s right, it’s about partnering beyond borders, so a U.S. flag next to the Nicaraguan one that flies in all schools makes sense. Our good friend and supporter Mike Hackett (Rochester, NY) immediately suggested he contribute a flag that was given to him by a service member of the U.S. military. The flag had been flown on 9/11 in Iraq and has a certificate, signature, the whole shebang. I said yes, of course, but have been thinking of this lately and today it just settled in on me how perfect and special it is. 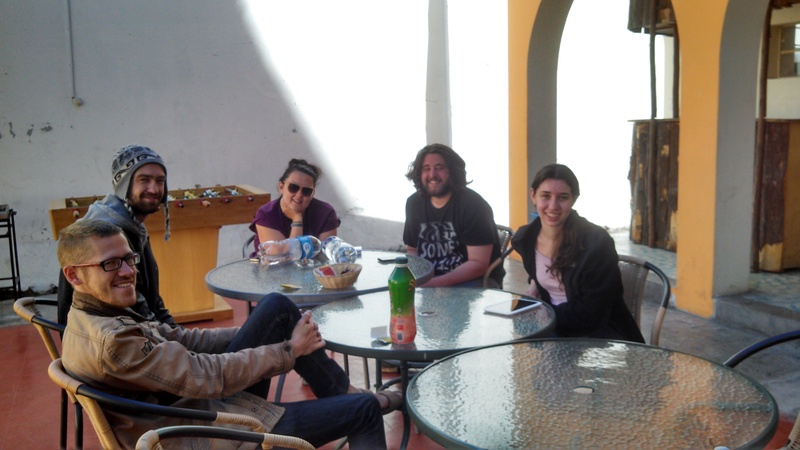 Whenever the guys in Las Minitas talk about the school or the scholarships, or other projects The Friends Project has completed with them or allowed them to complete with our resources, they discuss the “amistad,” or friendship between us. This is a Spanish word that essentially means that, but to me is more than friendship. IN this case, our friendship thousands of miles apart and among residents who never met but believe in each other made this happen. in the states, 9/11 is the single most example and symbol of Americans of all races, lifestyles and beliefs coming together in “amistad” to help each other, support each other and show unity. 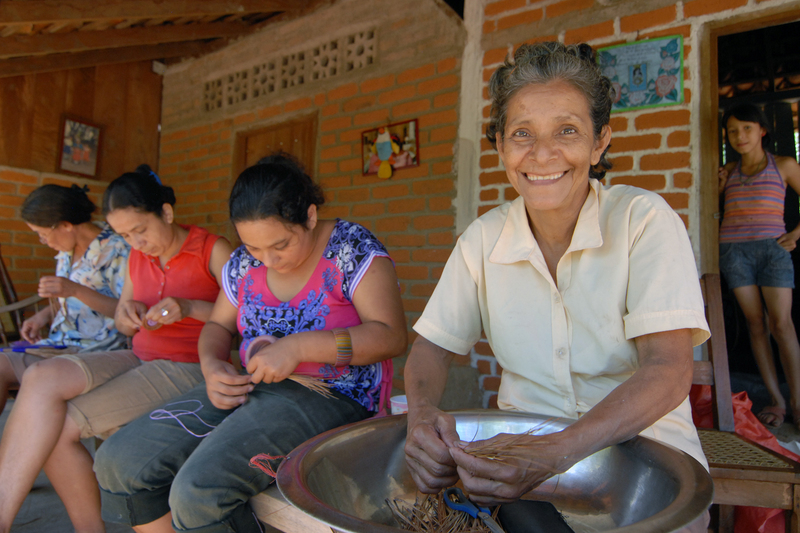 Still glowing over what we were able accomplish with families in Las Minitas. Don’t listen to negative: change is closer than you’d think! I’ll be in El Sauce again in a month… in the meantime… I’m discovering Peru and finding people making a difference. 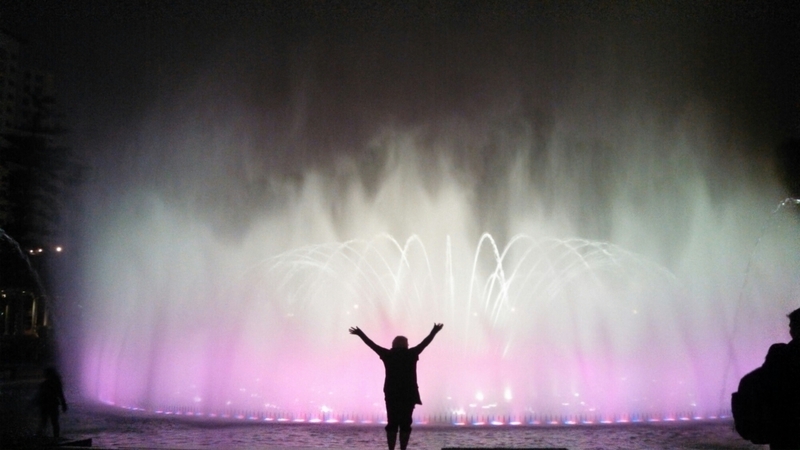 The fountain show in Parque Reserva is cooler than I thought and I survived the Russian roulette fountain dry!! The universe is smiling on us.